Emily Fedeles maintains a general litigation practice with a focus on the areas of electronic discovery, privacy and data protection, and complex commercial litigation. Prior to joining BakerHostetler, she worked in the Tampa, Florida, and Geneva, Switzerland, offices of a U.S.-based law firm, where she developed a wealth of experience relating to litigation, cross-border e-discovery, and data privacy and security considerations. 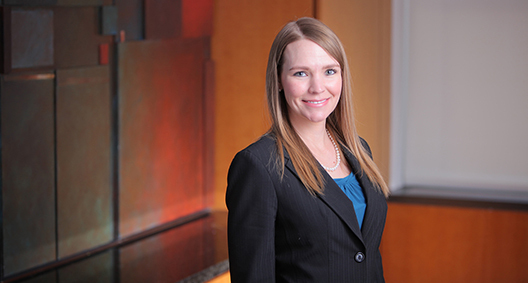 Emily's knowledge and background allows her to understand, adapt to, and apply laws to better serve her clients in contexts ranging from litigation to regulatory inquiries to cross-border transactions. Drafts and negotiates multiparty contracts in complex technology transactions. Provides guidance regarding the creation, development and implementation of global privacy and security policies, standards, procedures and guidelines. Develops legal hold policies, procedures and related materials. Advises clients on information governance practices and the development of records retention, maintenance and destruction policies and procedures. Represented a national product manufacturer in high-stakes, complex litigation trials in state and federal courts in Florida. Involved in various phases of trial preparation, including fact gathering, discovery, document production, motion practice and development of trial strategy. A member of four trial teams, two of which earned complete defense verdicts. Lead associate for international counsel in the representation of a global product manufacturer in class actions, reimbursement lawsuits, consumer protection claims, and individual product liability claims in Europe, West Africa and the Middle East. As lead associate for international counsel, assisted in the representation of a multinational product manufacturer in a cross-border acquisition. Advised on the collection, use, processing and security of personally identifiable and sensitive information, and counseled on the use of data transfer mechanisms, including standard contractual clauses (model contracts) and binding corporate rules. Advised a global financial services company on corporate data retention policies and procedures with regard to U.S. and international laws. As lead associate for international counsel, advised clients on litigation prevention strategies and legislative projects that impact or alter civil liability risks in Europe, Africa and Asia-Pacific. Such projects included proposed legislation on class actions, punitive damages and pretrial discovery.